Cory Kennedy SK8RATS Editing Contest Announcement Christmas Day!!! 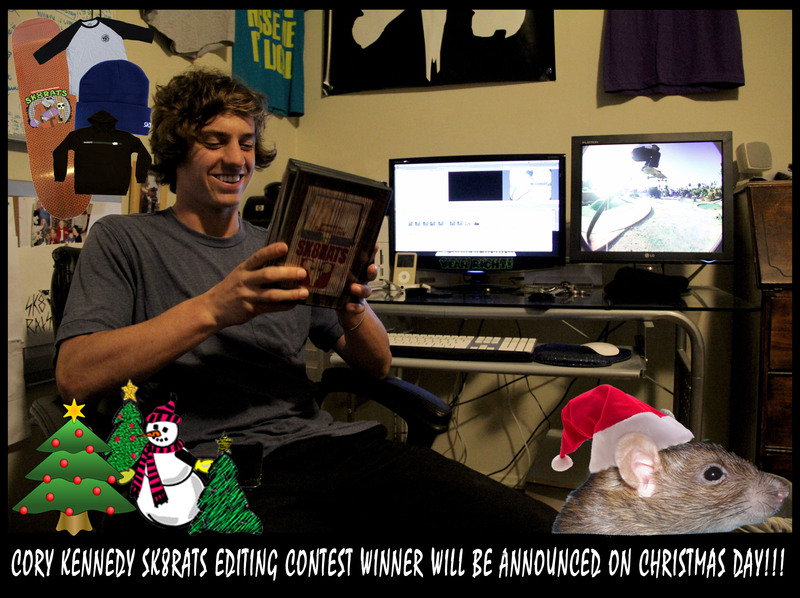 The Winner for the very 1st Cory Kennedy SK8RATS Editing Contest will be announced on Christmas Day! Thank you to all that support SK8RATS and entered the contest!! !